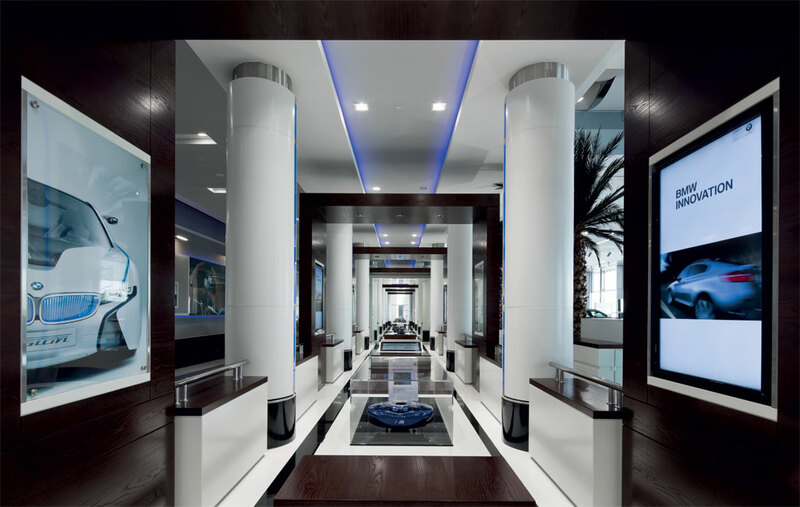 This landmark development has set new standards in the Middle East for corporate interiors and flagship car dealership facilities, combining three of the world’s most iconic car companies in an idyllic sales environment while maintaining the corporate branding and identity of each of the three entities. 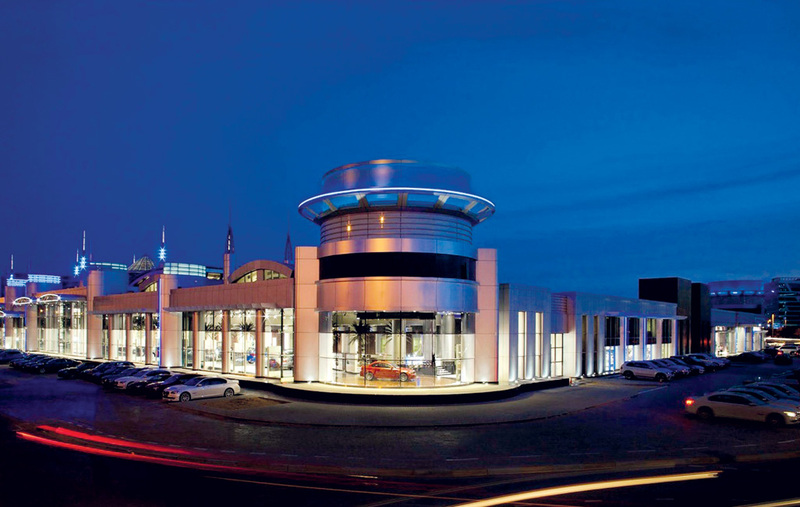 Situated at the entry to the city of Abu Dhabi near Al Maqta Bridge, it comprises state-of-the art showrooms for Rolls Royce, Mini Cooper and BMW, with a total capacity of 80 cars, in addition to supporting workshops, a service centre and repair facilities, a BMW museum and lifestyle centre, and an experience theatre. 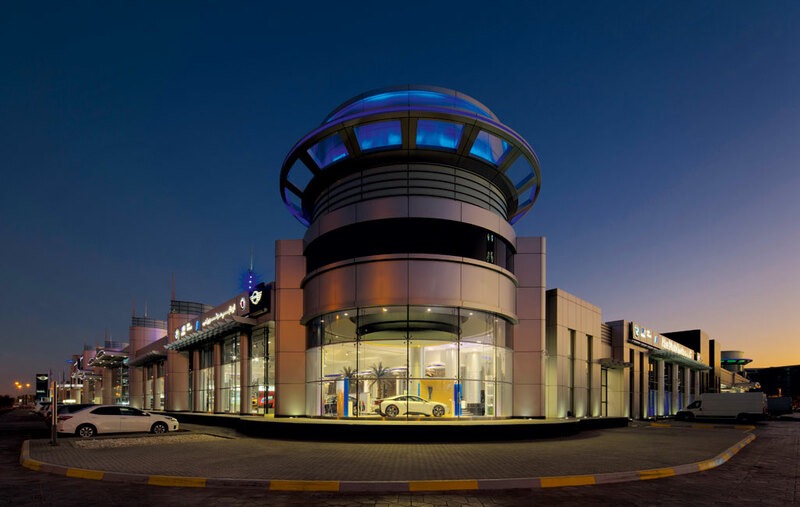 It is also the headquarters of United Al Saqer Group, the official agent and distributor of the three brands, and of their dealer, Abu Dhabi Motors. 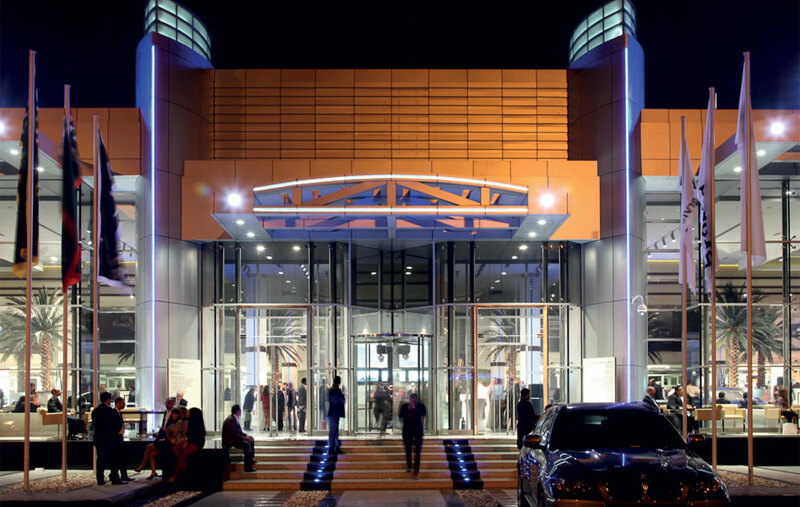 It represents the largest BMW group facility outside Munich, and the largest Rolls Royce showroom in the world. 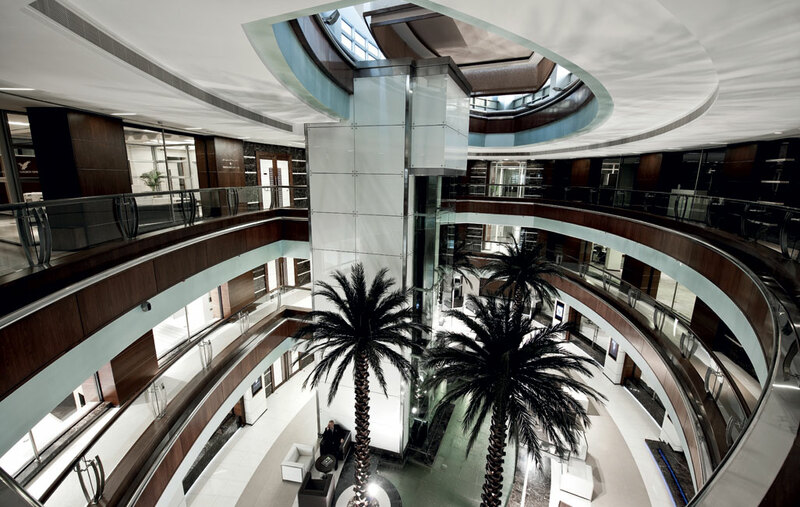 As lead design consultants on the project, Diar Consult’s multidisciplinary role encompassed architectural, structural and interior design, as well as providing complete contract administration in all disciplines. By providing both the architectural and interior elements, the designers were able to produce a harmonious and uncompromised product. 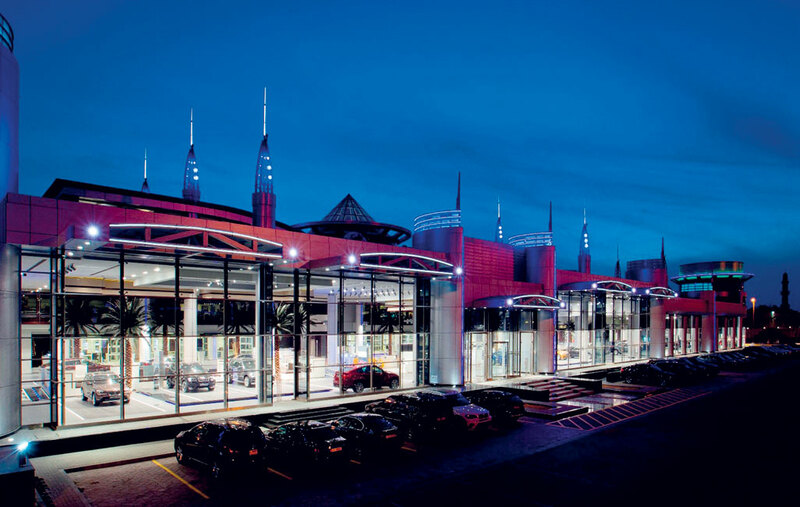 Visitors to the showrooms are led on a dynamic and stimulating journey during which they experience the cars via a parade of displays, a museum and lifestyle centre and a theatre, as if these were pavilions in a park. 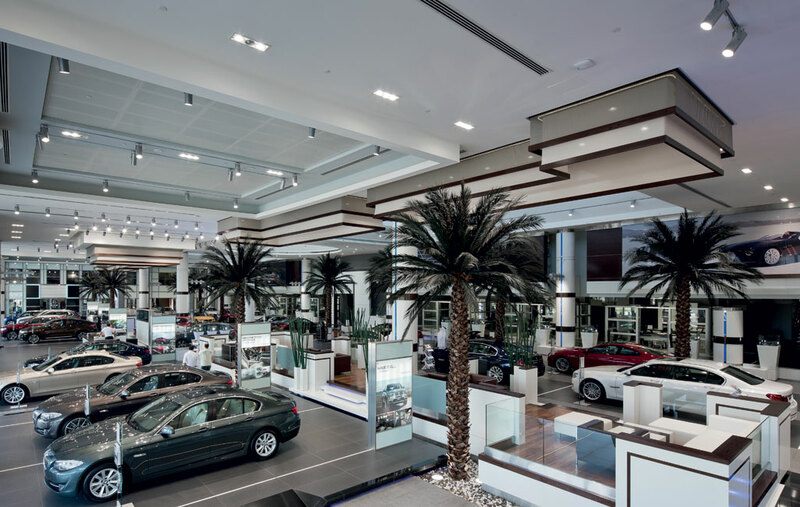 The cars are displayed in various contexts that reinforce the identity of each brand and the focus of every car, while the spacious environment allows a seamless transition from one brand to another. 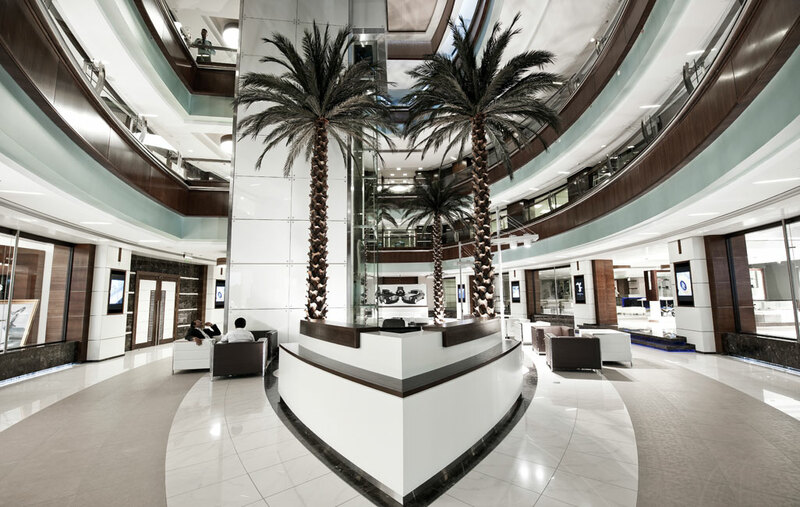 The contemporary design of the showrooms’ façades relies on the extensive use of glass. 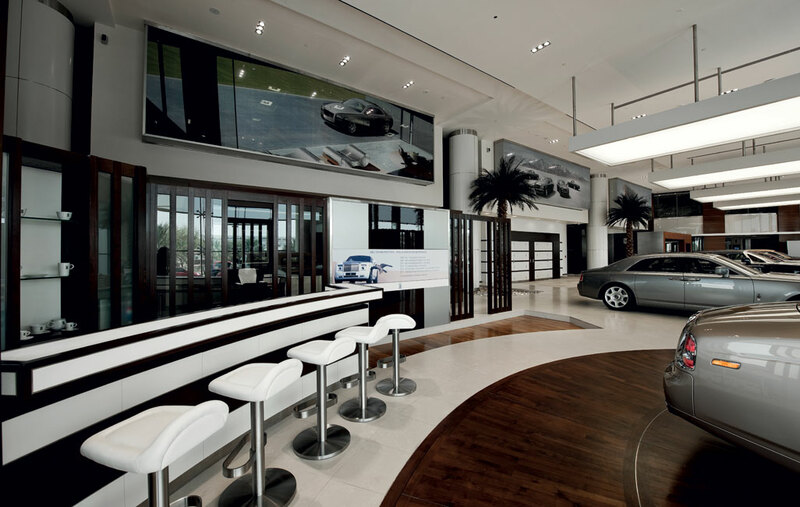 Transparency and visual connectivity are of obvious importance for the display of the cars; and this has been carefully and cleverly combined with shading and tinted glazing in order to reduce heat gain, glare and uncomfortable reflections. The perfect balance of daylight for the showrooms is achieved by the addition of strategically placed roof lights. Designing world class showrooms for iconic brands requires a great deal of sensitivity to reflect the corporate branding and identity of each brand while attempting to break conventional moulds and norms a contemporary and abstract form, in recognition of the site’s significant location. 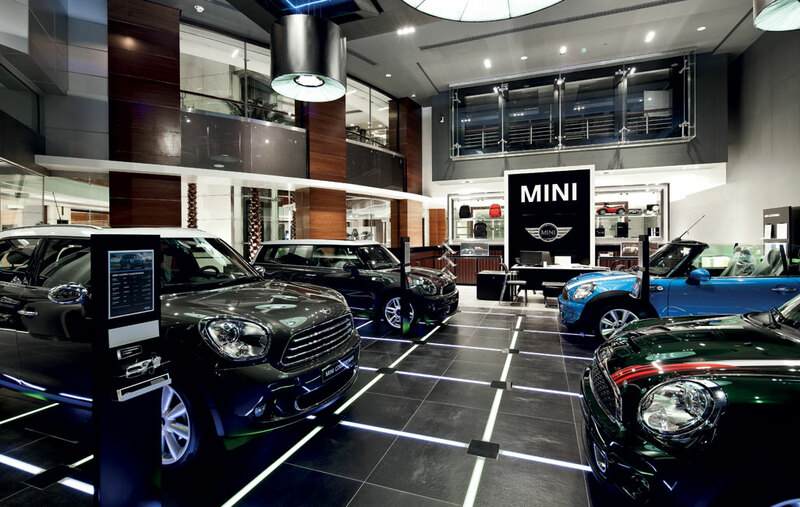 Functionally, the towers are used to display the featured car of each brand’s current marketing campaign. Executing the construction of the development presented a particularly challenging scenario. 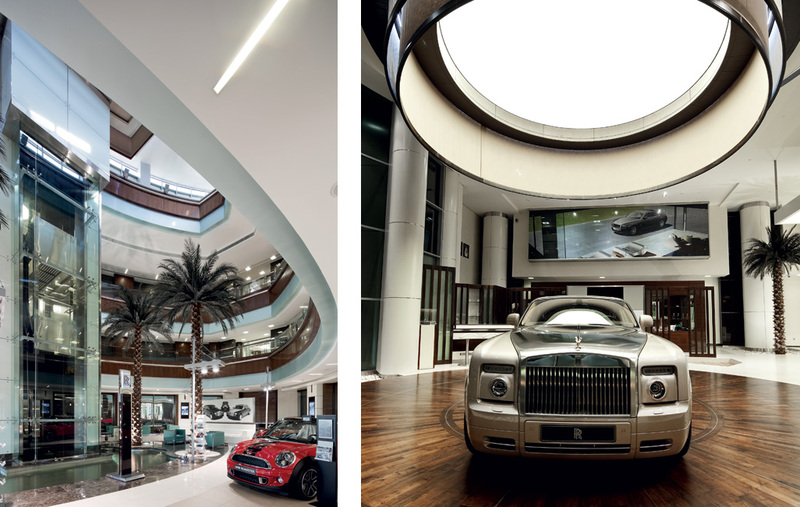 Replacing and expanding the substandard pre-existing BMW and Mini showrooms, as well as adding the Rolls Royce centre, needed meticulous planning and management so as to allow the existing operations to continue unhindered throughout the construction period.